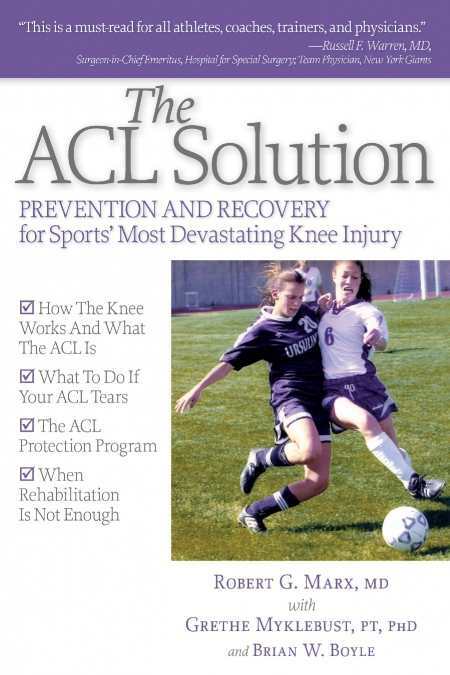 In The ACL Solution offers ACL-specific exercises designed by Dr. Myklebust, a physical therapist for the Norwegian national women's handball, soccer and volleyball teams, and a world-renowned expert on the science of ACL injury prevention. Readers will learn how to better balance their bodies and strengthen the muscles around the knee to provide greater stability and endurance. It’s a must-read for coaches and athletes of all ages and levels of experience.